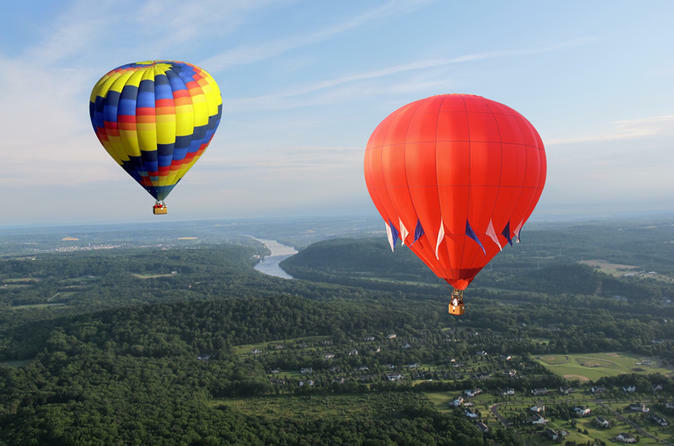 Enjoy a 1-hour hot air balloon flight over Pennsylvania's gorgeous and historic Bucks County countryside. Post flight, join the pilot and crew for a traditional champagne toast! Receive a flight certificate suitable for framing along with photos from your flight. Plan on spending 2.5 to 3 hours in total including an approximately 1-hour flight.